Become a Splend Member and receive fantastic Uber driver benefits that will put more money in your pocket. Find out what other Uber driver benefits that Splend Members receive. What Uber driver benefits does a Splend Member receive? Car washes: Enjoy discounted car washes at both Magic Hand Carwash and IMO Car Wash. Splend Members receive up to a 33% discount on washes, ensuring your car is sparkling clean and maximising those 5-star ratings. Tax & Accounting: as a small business, Uber drivers are required to conduct quarterly BAS statements and lodge an annual tax return. It can be time-consuming to manage your business and to ensure you have all the required information to conduct your tax return. 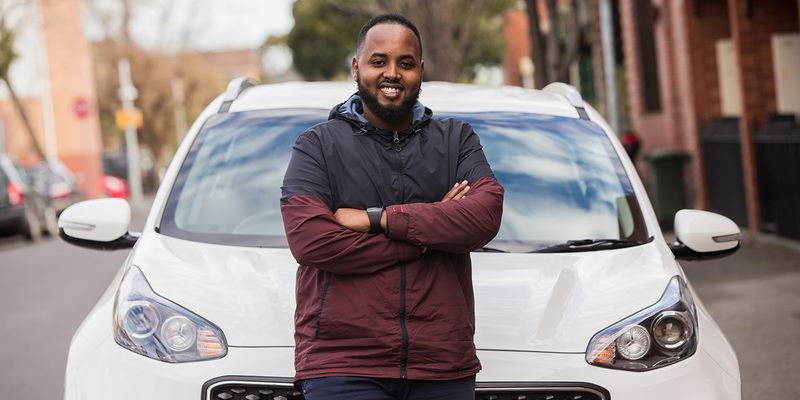 Splend Members receive a $10 credit with Nixer, who provide the cheapest tax & accounting services in Australia as well as a 20% discount with DriveTax, a specialist accountant for Uber drivers. Both Nixer and DriveTax provide Splend Members free GST and ABN registration. Health insurance: maintaining your health and wellbeing is vital for any occupation, including for rideshare drivers. Therefore, Splend provides its Members with a corporate health plan with HCF. Members enjoy reduced corporate pricing compared to equivalent levels of cover in the HCF retail range. The usual 2 & 6 month waiting periods will be waived for extras such as dental, optical, physio & more. Ria Money Transfer: are you planning to send money back home to support your family? If yes, then Splend has you covered, having partnered with Ria Money Transfer. Splend Members receive a 30% discount on the money transfer fees, so you can maximise the amount of money you send to your family. Referral program: do you know someone who would like to start working with Uber? If so, then as a Splend Member you can earn yourself up to $250 or up to $450 if you refer them. Your friend will also receive $75 off their Splend Membership! It’s a win-win for both you and your friend. Members events: every month Splend hosts a monthly event in each Member Support Centre around Australia. These monthly Member events feature presentations from rideshare experts, Splend partners and more. These events provide you with the opportunity to meet and network with other Uber drivers. Member rewards program: Splend provides its Members with the opportunity to earn some fantastic rewards including things like fuel cards, tickets to sporting events, movie tickets and more. Member goodies pack: Splend provides its Members with new-model cars that are approved for Uber. They also provide Members with numerous goodies to ensure you are ready to hit the road immediately. Along with the amazing Uber driver benefits above, Splend provides every Member with a new-model car as well as a dedicated Member Success Representative (MSR), whose job it is to ensure you are successful on the road with Uber. Over three and a half thousand people have driven Uber with Splend, earning a great income with the flexibility of being their own boss. Check out the Splend Vimeo Channel to hear from a number of Splend Members about their first-hand experiences. How do I sign up with Splend? Approved Uber drivers can get behind the wheel of a new-model car the same day they apply with Splend. To sign up with Splend or to find out more information call our customer service team on 1800 775 363. If you are new to Uber and haven’t started the application process, Splend can help you. Simply call our customer service team on 1800 775 363.